Niels Horn's Blog has moved! 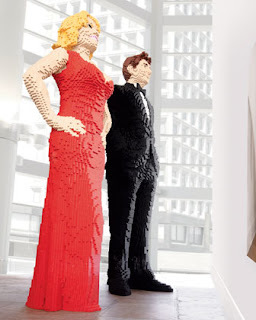 : Lego Sculpture - You are the model! Lego Sculpture - You are the model! I am a big fan of Lego. Unfortunately I haven't had much time lately to build anything, but I try to keep up-to-date with the latest news. Yesterday I read that famous department store Neiman Marcus has a new item in it's Christmas Catalog: A life-size sculpture of you made from Lego. Price-tag: $60,000.00 (does not include shipping). Care to order? Look here. The artist responsible for sculpting is Nathan Sawaya. Check out his site for some incredible works!